We just returned from CHA and it was so fun having people know me!!! My mom introduced herself, Bunny Vance, to Jinger Adams and she said “Oh, you must be Jillian’s mom, I keep an eye on her on Facebook!” OMGoodness, I must be famous! So Mom and I are thrilled to be Guest Designers for Paper Dolls: http://paperdollsblog.typepad.com/main/ See Tamara's Blog here: http://happylifecraftywife.typepad.com and Thienly's Blog here: http://modpaperie.blogspot.com/, we look up to these two fantastically creative gals and then to have THEM ask US ~ Wow! What a great feeling! We waited til after CHA to do this project but we had in mind what we wanted to do before we left home. The theme for our county 4-H booth is “4-H, It’s a Green Thing”. So we will be adding this to our booth at the fair so we decided a Topiary out of recycled Kraft paper was in order!!! 2.5 and 3.75 inches for the smooth edge flower. We wanted a mixture of larger and smaller flowers. Then I used Tim Holtz Distress Inks to ink them to the colors we wanted: the Golden ones are Spice Marmalade, Pink ones are the NEW Distress Stain in Picket Fence (it is a pigment based stain and is more opaque to give you a brighter color) under Worn Lipstick and the Purple flowers are Distress Stain in Picket Fence with Dusty Concord on top. I used Forest Moss Distress Stain for the leaves! So wish we had the other colors in Stain, it is so quick to apply! Gives them all a very vintage shaded look! We LOVE, LOVE, LOVE the new Picket Fence Distress Stain! Then we used corsage pins with tear drop pearls to pin through the base of the flower and leaf (cut from a random cartridge) added some hand dyed by me, seam binding to give the softness and flair it needed! By accident, Mom wound the ribbon around a Jelly Roll pen to dry it as otherwise she burns her fingers! That is what gave it the bouncy curly look! The butterfly was cut from Home Accents Cricut cartridge and of course “everything is better with Stickles!! 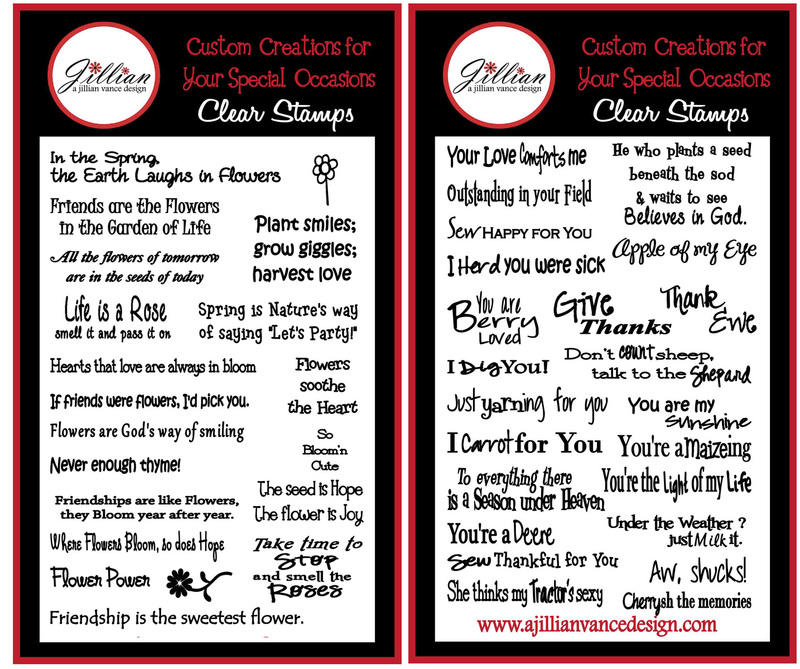 !” That is my famous saying in the craft room! The tin bucket came from IKEA. Then for the final touch ~ Bling in a Bottle!!! Perfect Pearls Mist in Sparkling Sunflower! Our favorite color of Perfect Pearls Mist by Ranger! Close up ~ Scalloped Rose. We want to thank Thienly and Tamara for asking us, it has been a pleasure and tons of fun! There will be three lucky winners of A Jillian Vance Design Clear Stamps!!! I am donating three pairs of sets for this final Challenge! Good luck to everyone and please follow and leave me a comment, we will have our own drawing for a set of stamps ~ or two!!!! 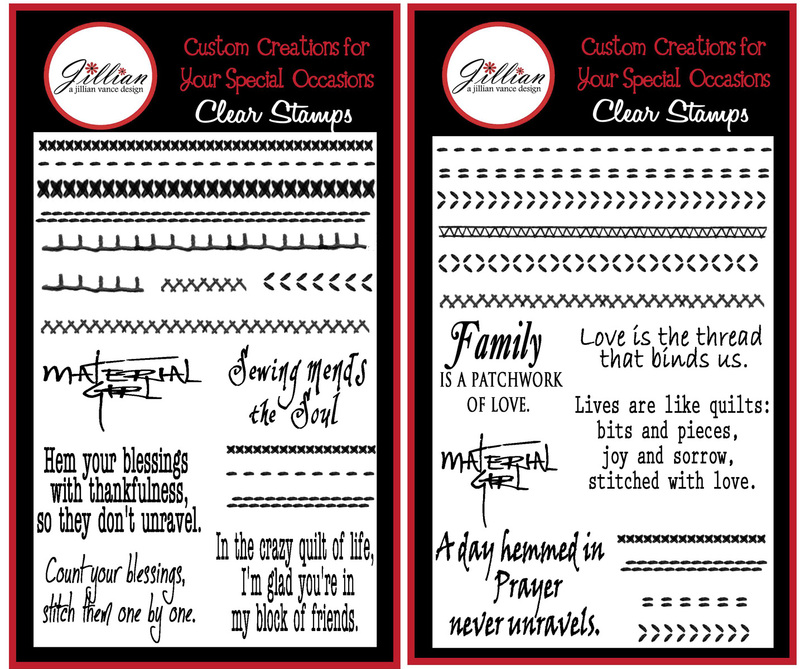 Stamp Set #2 ~ Stitches and More Stitches ~ BRAND NEW!!! Love it, want to make one, well done girl! I have become a follower. :) Look forward to see more of your work. You did a great job on these beautiful flowers Jillian and it is heartwarming to hear that you and your Mom work on these projects together. These are the memories that will last you a life time. I would love to win a set of your stamps. Thanks for being so kind to offer these give-aways. Jillian, this is just stunning! I love how you used the distress stains. I've got to get more of those! awesome flowers! here from EWV! Congrats on being featured! Hi, Jillian! I saw this topiary on your mom's blog and popped over here to tell you, too, how beautiful it is. You two did a great job on it. I hope all is well with you and was wondering about Mrs. Dunn. I was not able to contribute to your fundraiser because of my employment situation but I have been keeping her family in my prayers. Wow, this is absolutely STUNNING! love it! well done! Beautiful topiary! I love the muted colors and those pins you used!! Hi everyone! 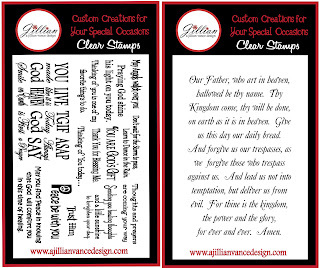 Please swing by my blog at http://lv2scrapandfibrofacts.blogspot.com to see some of the new Jillian stamps in use! 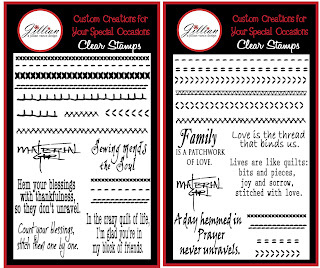 I used one of the Happy Birthday stamps and one of the new stitching stamps for a blog hop that is going on right now! Be sure to join in the fun!